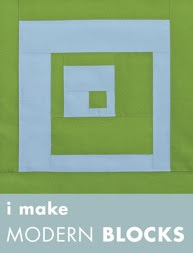 I am super excited to clue you in on a new (to me) website and internet TV show called "My Craft Channel" and they have a great line up of Fall Shows with Hosts like Kim & Kris from DIY Dish (of Utah fame) and one of their newest Hosts are Amy Locurto of Living Locurto and Angie Arthur of The Arthur Clan. 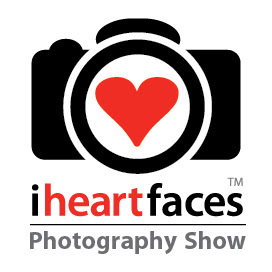 Amy and Angie are the creators of I Heart Faces. 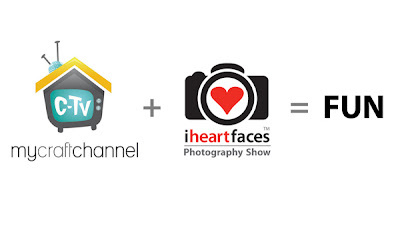 If you love photography. . .you're going to want to visit their website and watch their new show in the Fall on My Craft Channel. "It goes beyond the simple web “how-to” home video and delivers broadcast quality programming. With over 20 different new shows there is something for everyone. 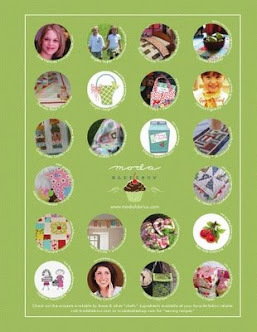 Top experts, bloggers and craft celebrities in various niches from sewing, painting, scrapbooking, DIY projects, photography, mixed media and more have joined together to bring entertaining education to the web with TV formatted shows. 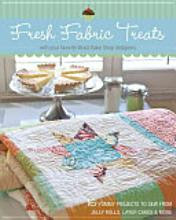 Not only do the shows provide amazing inspiration, each day there is an opportunity for the “daily deal”, which gives viewers an opportunity to try out fresh new craft items at discounted prices." 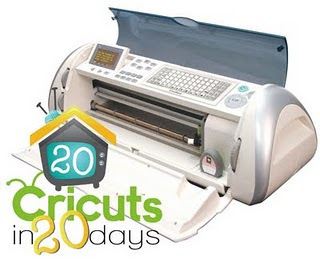 Also they are giving away another Cricut in their 20 Cricuts in 20 Days campaign. Go join in the fun. . . I'm excited to tell you that today my oldest daughter and I went to Barnes and Nobel to purchase her best friend, Kiersten's, book SUPERNATURALLY. It's a great read and I know that the Young Adult in you is gonna LOVE it. PARANORMALCY (Kiersten's 1st book) was the first book that my youngest daughter has ever read from BEGINNING to END and she loved every minute of it. Kenna's been waiting patiently for Kiersten's book to come out along with all of her friends that she told to read the book the first book. Evie finally has the normal life she’s always longed for. But she’s shocked to discover that being ordinary can be... kind of boring. Just when Evie starts to long for her days at the International Paranormal Containment Agency, she’s given a chance to work for them again. Desperate for a break from all the normalcy, she agrees. 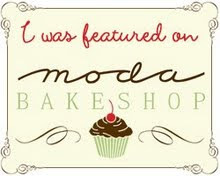 To go to Kiersten's "Good Reads" page click HERE! 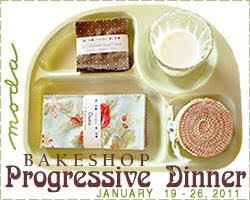 To go to Kiersten's "BLOG" click HERE! To purchase Kiersten's book "SUPERNATURALLY" on Amazon click HERE! 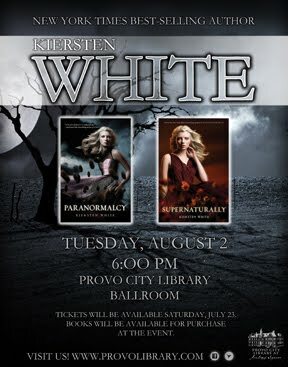 We are excited to take our books to Kierstens' Book signing at the Provo Library in a week from today. If you can't make the first book signing there's another book signing on. 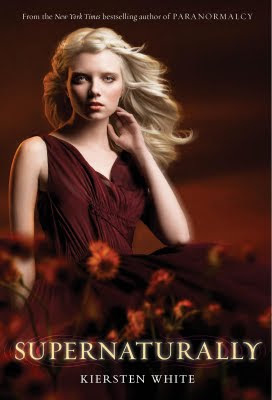 . .
Saturday, August 6 at 2 p.m.
Kiersten White will read and sign Supernaturally, the second volume in her debut trilogy for young adult readers. 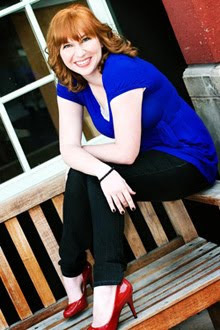 Kiersten White is the New York Times bestselling author of Paranormalcy. Born and raised in Utah, White graduated from BYU. She has one tall husband and two small children and lives near the ocean, where her life is perfectly normal. This abundance of normal led her to a fascination with all things paranormal, including but not limited to vampires, faeries, and pop culture. See you in Provo on August 2nd! Modern Blocks by C & T Publishing! 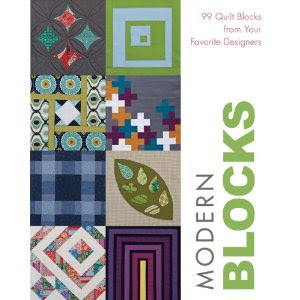 I'm excited to tell you that I have ONE (out of 99) Quilt blocks in this book. 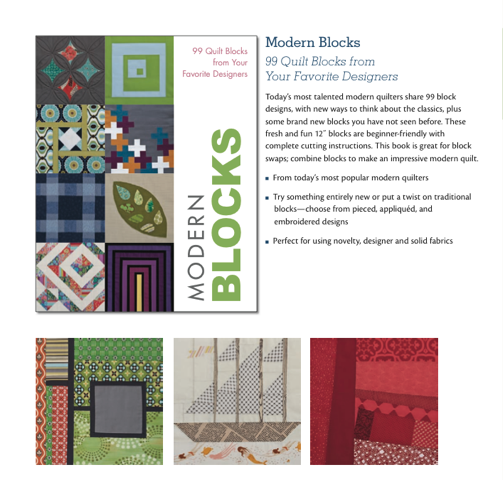 I've only seen my block and the blocks that you can see on the cover. I can't wait to see all of the blocks! The book is scheduled to be out in October 2011. But, you can pre-order it NOW at Amazon. It won't be long before I can show you my block! It's a HAPPY HAPPY DAY at our HOUSE!!!!!! I can finally shout the NEWS from the house tops! 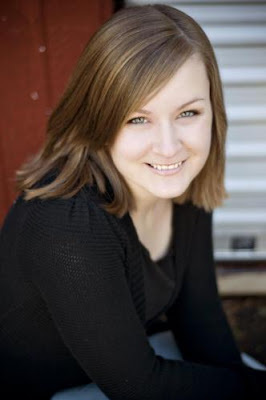 My oldest daughter, Natalie Whipple of Between Fact & Fiction has signed a book deal for her debut Novel entitled, "TRANSPARENT" with Editor, Erica Sussman of Harper Teen! I want to extend my heartfelt gratitude to her previous Literary Agent turned Author, Nathan Bransford (Jabob Wonderbar-and the Cosmic Space Kapow) for seeing and believing in my daughter's talent and to her current AWESOME Literary Agent, Anna Webman of Curtis Brown, Ltd. who has been ever supportive and encouraging. I especially want to THANK ALL of her writer friends who have given her support and encouragement along the difficult road to publication. 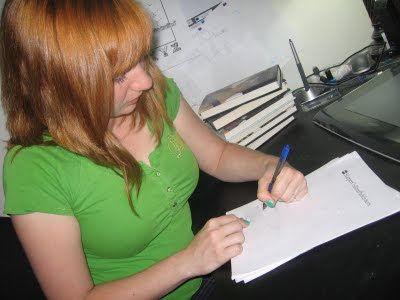 I've been there in the trenches throughout Natalie's writing and publication pursuits witnessing the power of friendship, seeing the ups and the downs, the ins and the outs, the HIGHS and the lows, the joys and the tears, the confidence and fears of not only Natalie but her writing friends. You are ALL AWESOME!!! I've also spent many many hours with my grandkids so she could she could write, re-write and finish edits in peace and quiet. Let me just tell you that the TIME and the POLISHING that's required to write a book and get it to an actual book, the kind you actually hold in your hands is really really INTENSE!!! I never realized or understood the time, the commitment, and the effort that is required to be a published author! Shout out to AUTHORS!!! I LOVE READING so keep on WRITING!!! So, with that said, I want to send my love and my best wishes and all my bottled up happiness out to my daughter, Natalie! You worked HARD for IT and YOU NEVER gave UP!!! I'm so VERY PROUD of YOU!!! I'm sorry it's taken me a couple days to pick the winners of the Magnetic Button Ring Giveaway but, I have some really great excuses! It's been a crazy few days with our Air Conditioning Unit breaking down on SUNDAY which happened to be the HOTTEST day of the year and a 3 day weekend, YIKES! I am one CRANKY mama when I'm hot. My oldest daughter tweeted. . . "The fastest way to get my family to turn on each other is to break the air conditioning. We all get angry when it's hot." It was difficult at Sunday dinner to not get on each other's nerves. The grandkids were cranky, too! It was over 80 degrees in my house (but it felt like 95) and I can barely tolerate 73 degrees. lol. I mostly hid in my basement during the day and had two fans in my room going at night to keep me cool. Of course, I had to wear earplugs to reduce the noise enough so I could fall asleep. Last minute guest arriving from California for EFY at BYU. We picked him up at the airport after dinner. It was wonderful turning on the COLD air in the car as we drove up to SLC. Yesterday, was a holiday and filled to the BRIM with family activities and fireworks. Plus I was extra HOT and CRANKY, still! This morning while my husband was finishing a conference call our internet, phone, and cable services went down for over 3 hours and it's only in the last 15 minutes that I've been able to get online and pick the winners. The temp in my house was 79 degrees and as of 11am the repairman has come and gone leaving a $500 bill for fixing the air-conditioning. Yikes again!!! Totally worth it, though!!! SOOOO, I finally was able to pick 2 winners. One winner from Stash Manicure and One winner from my blog. 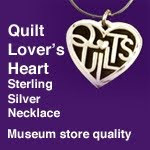 Congratulations to the winners of the Magnetic Button Rings! Thanks Everyone for your sweet comments and Thanks again to Madame Samm for inviting me to post on Stash Manicure. Hopefully, I will be back again soon with another tutorial. I better get to work. 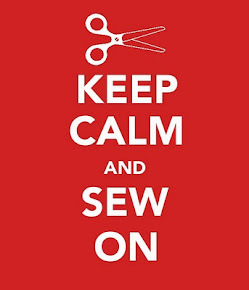 . .
Have a great day and go sew something fun!! !